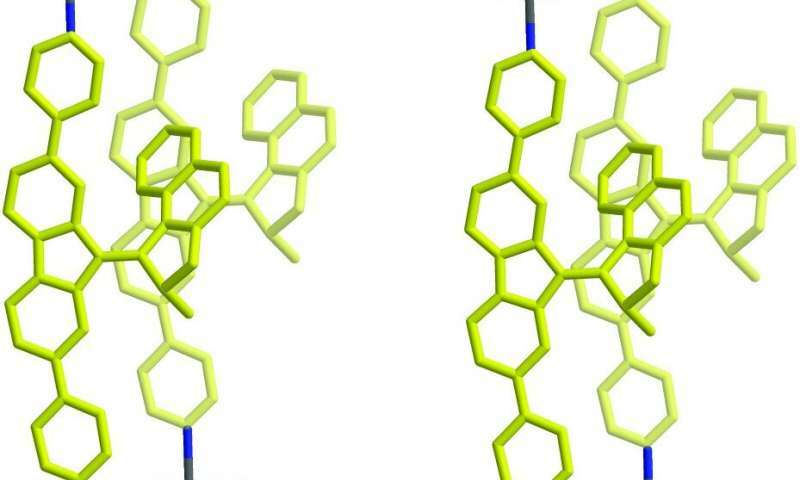 The scientists housed the motors in metal-organic frameworks (MOFs), molecular cages made from metals with interconnecting 'struts' of organic molecules. Ordered 3-D stacks of these molecular cages form crystals. Once they had grown these crystals, the team replaced the vertical pillars with motor molecules, using a process known as solvent-assisted linker exchange. It was not possible to insert the motors at an earlier stage, as they would not have been able to withstand the conditions needed to synthesize the MOFs. 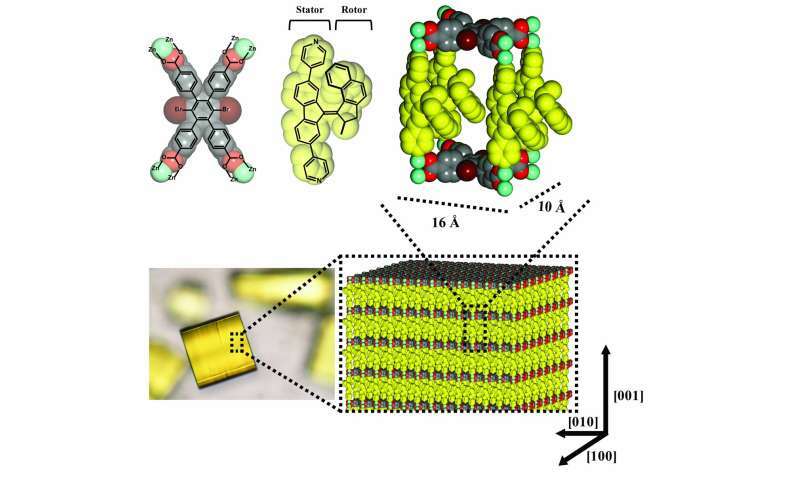 Thus, it is now possible to create a "motorized MOF," in which large numbers of molecular motors are packed densely together to create macroscopic crystals. In theory, crystals like this could be used to control the diffusion of gases, or they could function as light-powered pumps in microfluidic systems. Another potential application would be to feed the motorized MOF with materials that would then react inside the cages before being pumped out again. However, much more research is needed before any of these applications can become a reality. One potential issue, for example, is that materials passing through the cages could interfere with the operation of the motors, causing the system to clog up. Nevertheless, the system presented by Prof. Feringa and his team will provide a springboard for further explorations of the collective behavior of rotary motors integrated into 3-D arrays.